On January 7, 2019, about 1050 Pacific standard time, a Beech A36 airplane, N100JB, collided with terrain about 2 miles south of the Colusa County Airport (O08), Colusa, California. The private pilot and passenger were fatally injured. The airplane was destroyed. The airplane was registered to Chalk Hill Consulting Group LLC, and operated by the pilot under the provisions of Title 14 Code of Federal Regulations Part 91 as a personal flight. Instrument and visual meteorological conditions prevailed in the area and an instrument flight plan was filed for the cross-country flight. The flight was originating at the time of the accident and was destined for Palo Alto, California. A witness located at O08 reported that he saw the airplane taxi out and heard the pilot announce his departure from runway 13 on the airport's common traffic advisory frequency. The witness estimated that at that time, the cloud ceiling was about 500 ft above ground level with visibility of about 1 nm. Preliminary information provided by the Federal Aviation Administration revealed that the airplane departed O08 on a southwesterly heading. As the airplane ascended through about 1,000 ft mean sea level, a right turn was initiated followed by a rapid descent until radar contact was lost. Examination of the accident site by local law enforcement revealed that the airplane impacted a water irrigation pond. 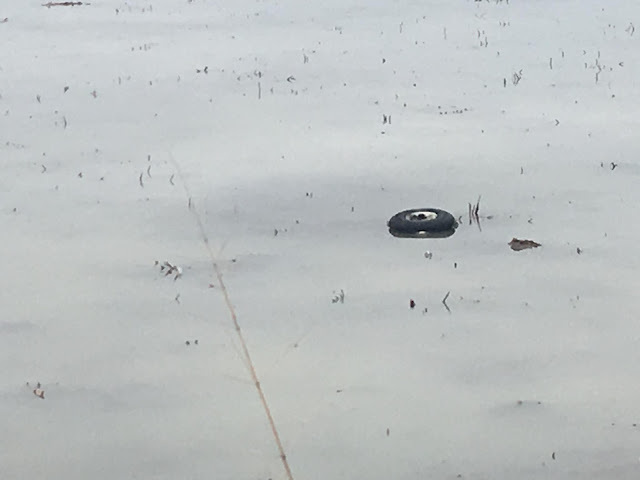 The airplane wreckage, which was mostly submerged within about 5 ft of water, was subsequently recovered to a secure location for further examination. 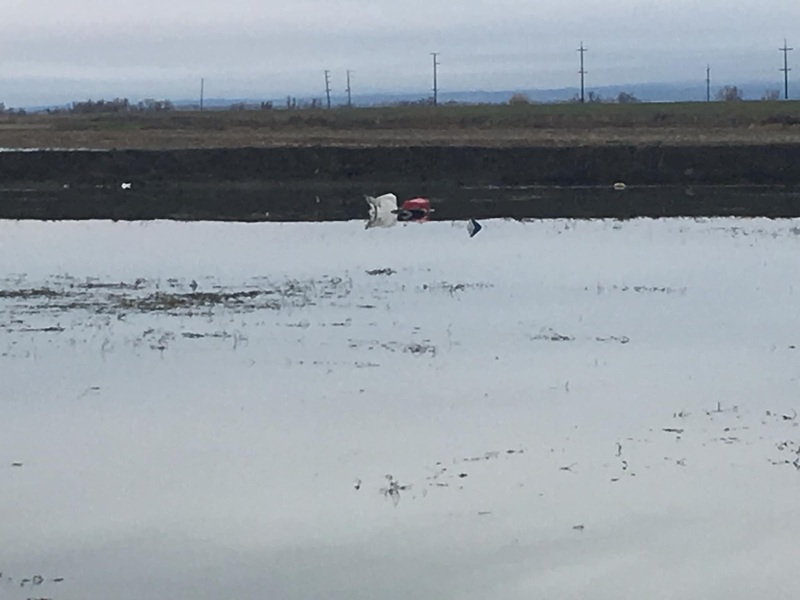 A Healdsburg man was piloting a plane when it crashed into a pond in rural Colusa County on Monday, killing him and his passenger. The Colusa County Sheriff’s Office said it found the bodies of Jeffrey Webber, 66, of Healdsburg, and Lionel Robin, 71, of Arnaudville, Louisiana, amid the wreckage. The small private plane was headed for Sonoma County, authorities said. 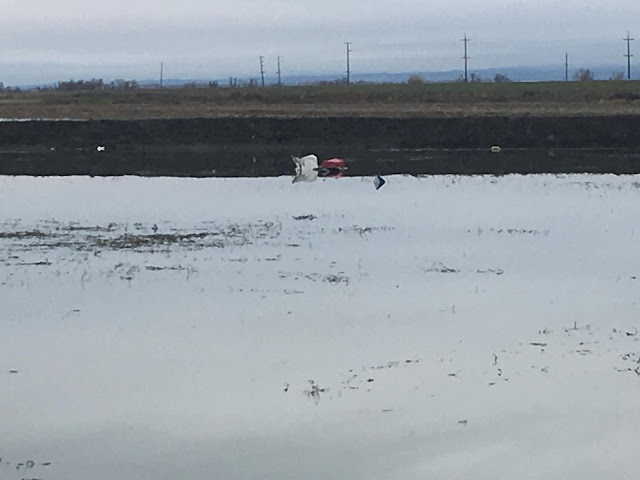 Deputies, an air squadron and a dive team responded to a 12:15 p.m. report from federal aviation officials that a plane carrying two passengers and a dog had crashed about 2½ miles south of Colusa. The plane had taken off from the Colusa County Airport about an hour earlier and was headed for the Healdsburg Municipal Airport, Assistant Sheriff Jim Saso said. It wasn’t clear exactly what time the plane crashed, or what caused its “steep” descent, he said. Visibility was low around the time of the crash, said Greg Hinton, airport operations director. Webber was piloting the plane, which didn’t issue a distress call, Saso said. The two men were “best friends” who went hunting together, he said. Robin was a Cajun chef who in 2002 was named one of the Star Chefs for the James Beard Foundation, according to foundation records and his obituary. Drake Fusaro, a fishing and hunting guide in the Butte Sink area, said Robin was in California to go duck hunting with Webber. The two had spent Saturday and Sunday duck hunting with Fusaro and various members of Webber’s family. He said Webber was a frequent customer of his and he had known him for years. “He was a very special individual. He was always very energetic and he was there to have a good time,” Fusaro said. He said Webber loved to joke and tell stories, and would do accents and impressions. “That was the first thing that popped into my head when I heard the news, was I won’t get to hear his jokes anymore,” Fusaro said. A brother of Webber’s reached by phone Wednesday said the family is preparing an obituary and had no further comment. Sherbin Collette, the mayor of Henderson, Louisiana, said he was a close friend of Robin’s since grade school. He said Robin was a generous and kind-hearted man who had a passion for hunting and valued the companionship of his dog, Max. It’s unclear whether the dog was the same one on the plane. That dog was found badly injured on a nearby road, was turned over to a veterinarian in Yuba City and is expected to survive, Saso said. Webber is listed as the manager of Healdsburg-based Chalk Hill Consulting Group, according to state records. The management consulting services group is listed as the registered owner of the 1984 fixed-wing, single- engine plane that crashed, according to FAA records. Saso said the FAA and National Traffic Safety Board will investigate the cause of the crash. Neither agency responded to requests from the Sheriff’s Office and the wreckage remains in the pond, Saso said. Amid short staffing during the ongoing government shutdown, the FAA was unable to provide details on the crash, a spokesman said. The official cause of death hasn’t been released for the two men, Saso said. Funeral arrangements are being finalized for Lionel Robin, an iconic Acadiana chef who died Monday in a California plane crash during a hunting trip. A Mass of Christian burial will be celebrated at St. Joseph Catholic Church in Cecilia, according to Robin's obituary on the Pellerin Funeral Homes website. Visitation times, as well as the time and date of the Mass and interment, are still pending. The Rev. Michael Delcambre will be the celebrant of the funeral Mass and conduct the funeral services. Con-celebrants will be the Rev. Gregory Cormier and the Rev. Flo Calais.